In Australia, there are certain environmental, weather and climatic conditions that have become the norm and are expected to vary from season to season. Bushfire building is a primary focus in bushfire rated areas under the bushfire attack code up to BAL FZ (Bushfire Attack Level “Flame Zone”). Every summer with high heat and strong winds which promote bushfires results in great loss of lives and properties. 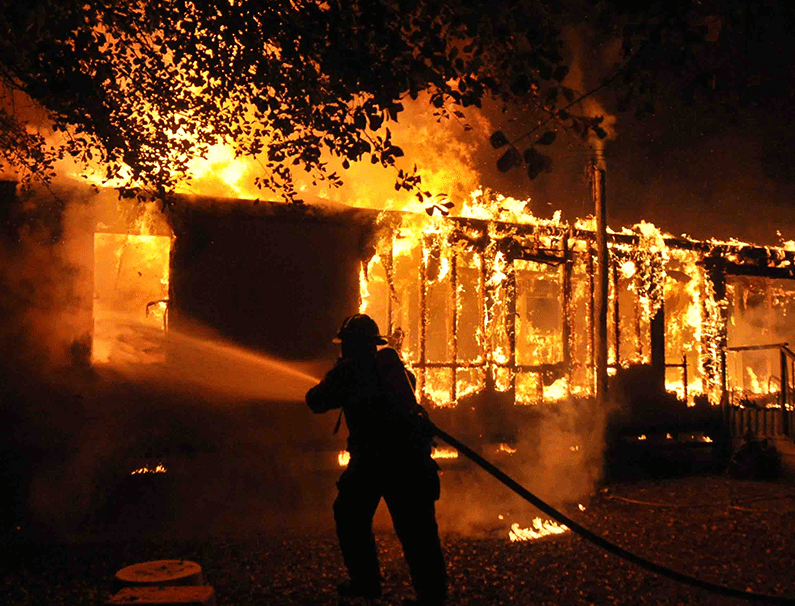 FireCrunch stops bushfires burning down your home.! FireCrunch has recognised the absolute importance of creating a building solution to minimise the risk of potential damage and injury from fires to our best abilities. By implementing revolutionary technology and innovative materials, our MgO building board reflects certification via CSIRO fire tests to DTS solutions/and alternative NCC with Fire Resistance Levels (FRL) 90/90/90 as a standard well over the FRL of 30/30/30 required for bushfire resistant building. Fireproof plasterboard cannot be used for exterior fire walls and FireCrunch fireproof building board is the only cost-effective answer for new and renovating home owners in bushfire BAL 40 and BAL FZ areas. When considering a direct comparison against building boards that are made with plaster, there is no real comparison (See FAQ Page). For homes and buildings to be built to last and withstand the serious Australian climatic elements, they need to be built with FireCrunch. FireCrunch meets the maximum Flame Zone (FZ). Australian Standards tested bushfires AS NZS 1530.8.2 (CSIRO). FireCrunch has been tested by the CSIRO in a full-scale bush fire simulation carried out in Australia (2012) with our lightweight building board. The extensive CSIRO Scientific Bushfire test video can be viewed here. MgO stands for magnesium oxide, which is a steel waste product (45%) blended with other (IP) substances and multi-layers of fibre mesh composite. FireCrunch contains no formaldehyde, toxic chemicals or asbestos. See Australian Non-asbestos Content NATA Test Report under Certification AS 4964. FireCrunch is a building lining and cladding product eight to ten times stronger than plasterboard, virtually environmentally friendly and carbon neutral (5% Co2) while being fire, flood, and termite proof. FireCrunch is a universal multipurpose building product with a design and composition format suited directly to Australian climatic conditions. Bactria cannot grow or survive on FireCrunch; therefore, it is well suited for hospitals medical centres, schools and other health concern areas. Mould and mildew do not easily form on FireCrunch, making it ideal for wet areas and humid conditions. Mould and mildew can quickly ruin paper based building boards and similar plasterboard products. FireCrunch is an Australian company owned and operated by Australians. The Company is registered with the Australian Securities and Investments Commission (ASIC), under the Corporations Law. Fire Combat Australia Pty Ltd (trademarked as FireCrunch Australia).